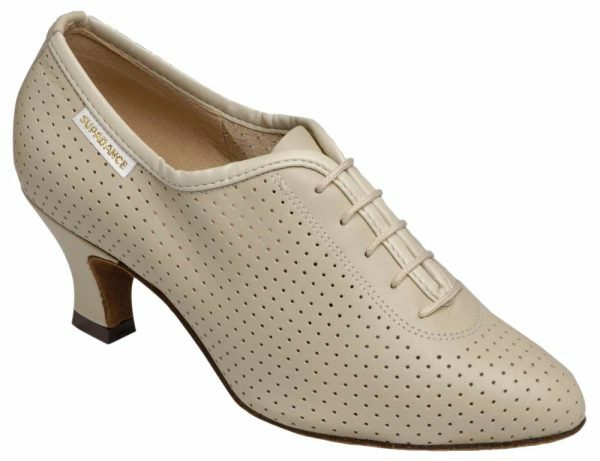 The 1025 Ladies Practice Shoe continues to be a best seller in our Supadance Ballroom Collection range at Duo Dance London. A lace up shoe made from ultra soft perforated leather. An attractive yet practical dance shoe suitable for the long hours training. 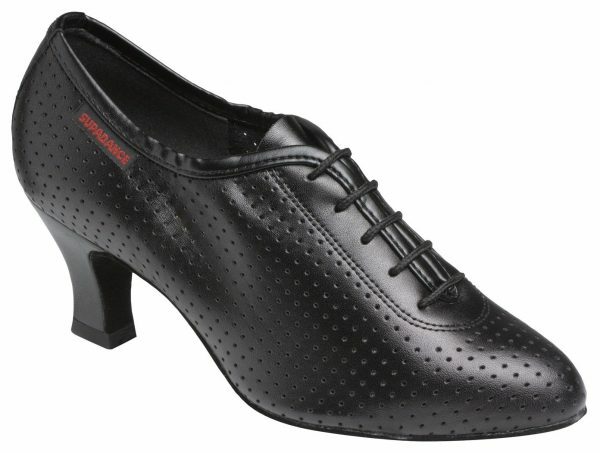 It is a perfect shoe for both the Professional and social dancer and is suitable for all styles of Ballroom dance. The 1025 Ladies Practice shoe is a full soled shoe so more suitable to the Ballroom rather than Latin Dancer. An ultra soft perforated leather in a choice of Beige or Black, a pointed toe and perfumed insoles. For a practice shoe, this is quite a high heel at 2″ but the heel is sturdy and solid allowing the dancer complete support and stability. The 1025 Ladies Practice Shoe is available in a regular fit and in Supadance UK Sizes 2 – 8 including half sizes. Full sole suitable for all styles of Ballroom. Perfumed padded insole for comfort and enhanced support.